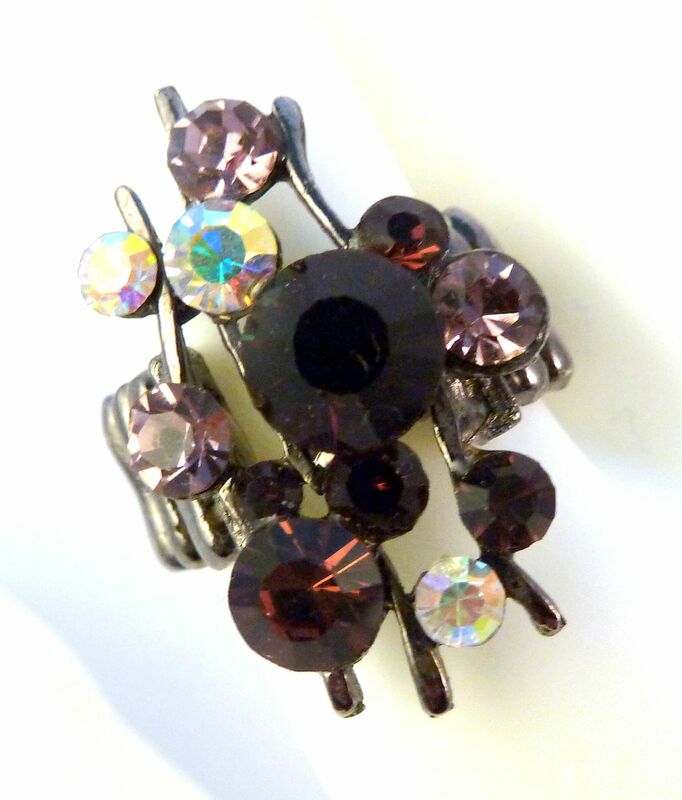 Mixed rhinestone adjustable size stretch ring. 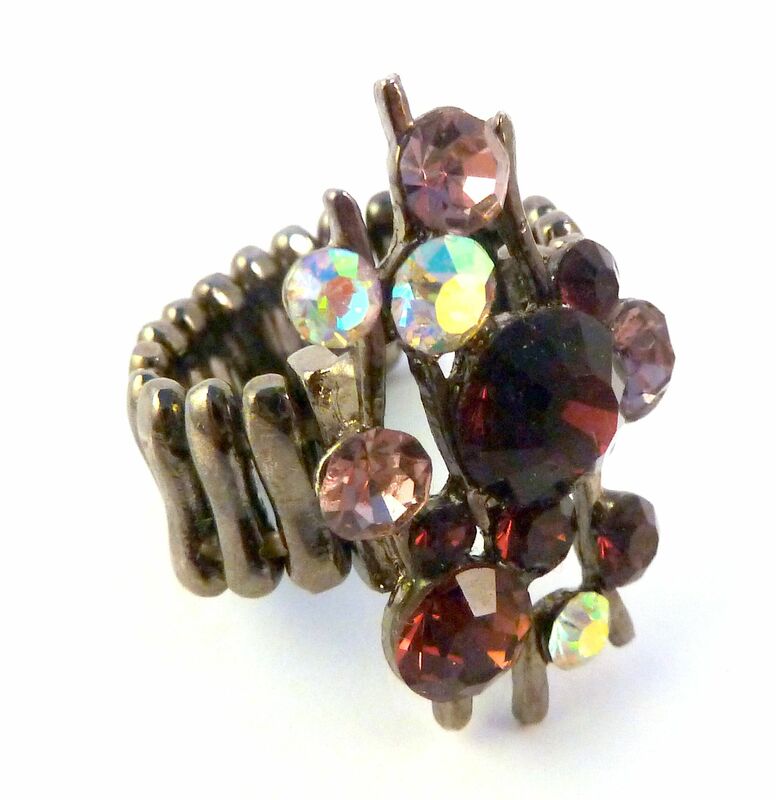 The ring design features rhinestones in mixed reds, pinks and aurora borealis rhinestones. 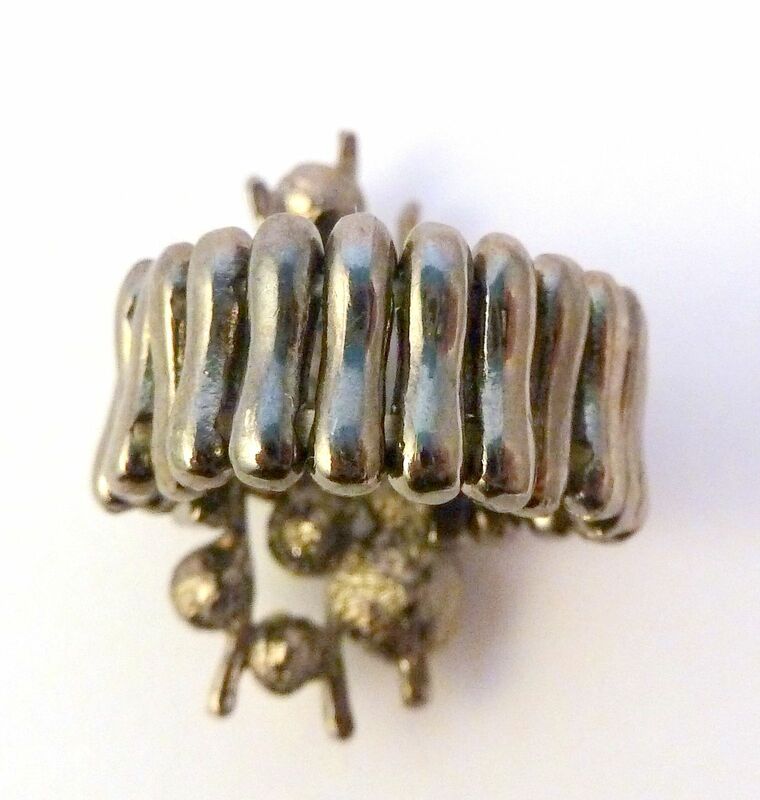 The ring has an adjustable stretch back and will fit most fingers. 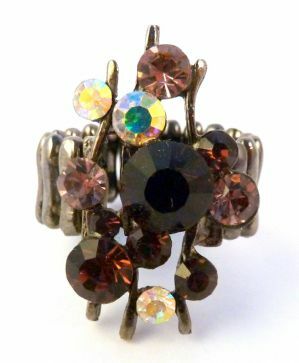 Striking large modern rhinestone ring.